Land is important to all aspects of human life and has a key role in the economic well-being of society therefore, land tenure, land ownership, and real property law is a critical part of any developed nation. Together, the processes of how land parcels are held; how they are defined, measured, and described to allow economic transactions; how they are marked to allow their use and defense; and how they are legally protected have allowed for the orderly possession and use of land. In doing so, these processes have also provided the basis for the advanced economy of most developed nations. Very often, these processes—land tenure, boundary surveying, and cadastral systems—are considered separately. They are very much interrelated, and none of these processes may be completely understood without an understanding of the others. 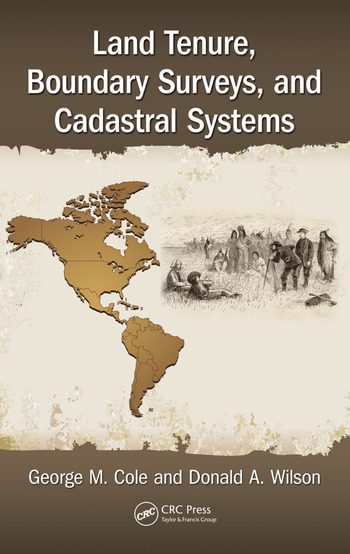 Land Tenure, Boundary Surveys, and Cadastral Systems provides an introduction to land tenure, cadastral systems, and boundary surveying, including an understanding of the interrelationship of these areas and their role in land tenure and real property law. This is especially true considering the advent of georeferenced cadastral maps reflecting the location of land parcels relative to many other components of the physical and legal infrastructure. Although intended as a basic text for college-level surveying courses, this book should also be of significant value to cadastral mappers, real property attorneys, land title professionals, and others involved with land transactions. George M. Cole is a professional surveyor and engineer with over 50 years of experience as a land surveyor. Beginning his career conducting hydrographic surveys of the Chukchi Sea as a commissioned officer of the U.S. Coast & Geodetic Survey, he has had a wide variety of assignments including participation in the nation’s first satellite geodesy program, as the State Cadastral Surveyor for Florida, and as President of a surveying and mapping firm with projects in both the United States and Latin America. Recently, he has concentrated on surveying education with service as a visiting professor at the University of Puerto Rico (which was the inspiration for this book) and currently as an adjunct professor at both the University of Puerto Rico and Florida State University. He has made significant contributions to professional literature and is the author of several textbooks and numerous technical papers. He also has frequently testified on surveying matters before local, state, and federal courts, including before a special master of the U.S. Supreme Court. Cole holds a bachelor of science degree from Tulane University as well as master of science and doctor of philosophy degrees in from Florida State University. Donald A. Wilson, president of Land & Boundary Consultants, has been in practice for over 50 years, consulting to groups throughout the United States and Canada. He is both a licensed land surveyor and professional forester, having conducted more than 500 programs on a variety of topics, including description interpretation, boundary evidence, law, title problems, and forensic procedures. Mr. Wilson has more than 200 technical publications in several areas, and has been involved with over 50 books, which include titles on Maine history and several books on fishing. Besides being co-author of Evidence and Procedures for Boundary Location and Boundary Control and Legal Principles, he is author of Deed Descriptions I Have Known....But Could Have Done Without, Easements and Reversions, Interpreting Land Records and Forensic Procedures for Boundary and Title Investigation. His latest title is Easements Relating to Land Surveying and Title Examination. Don is an instructor for Vector Learning’s on-line professional courses and a regular presenter in the University of New Hampshire’s Professional Development Program. He is part owner of and lead instructor in Surveyors Educational Seminars and a regular seminar coordinator for the University of New Hampshire. In his professional practice, Don has testified numerous times, in a variety of courts, on boundary and title matters. "The book is an important contribution to the many professions that use, manage or regulate land, and it reminds us that we each may be quite good at our very small part, but that we should occasionally stop to take in and appreciate the grander views to understand what we are all working towards." "Wilson and Cole provide valuable insight into aspects of property rights that have received scant attention from previous surveying texts. The segment covering private restrictions, regulation and zoning was particularly relevant." "… a useful study guide for surveying interns and reference tool for licensed professionals." "Don Wilson and George Cole are two of the most respected professional surveyors in New England and across the United States. 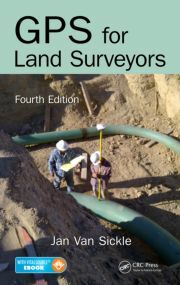 Their new book Land Tenure, Boundary Surveys and Cadastral Systems is a tremendous addition to the limited list of dependable, well-researched resources available to surveyors and others who need to understand land tenure and surveying basics in order to more effectively perform their work." "The authors bring an impressive 100 years of combined personal experience to bear on a topic that remains central to our understanding of the U.S. property system and how it has evolved over time. The book will be of interest to professionals, scholars and teachers whose work focuses on the spatial and legal aspects of property systems. I know that students will appreciate the succinctness of this book - many other books on land tenure and cadastral systems are well over 500 pages long!" "Land Tenure, Boundary Surveys, and Cadastral Systems by Donald A. Wilson and George M. Cole fills a serious abyss in the subject of land surveying. A review of the work’s contents definitely does not relegate the volume solely to an academic environment, but is a needed reference for surveyors, title researchers, and the legal profession." 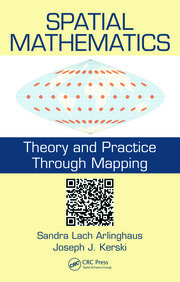 "…a good primary text for land information courses or land survey overview courses. 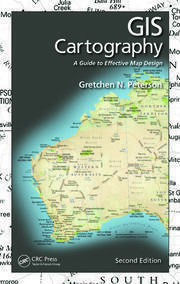 It would also be useful as a secondary text for land survey courses."